There is no doubt that we have seen a surge in crypto world activity. A significant portion of this increase is made up of first time players, many there to make a sack of money – quickly. This does not mean to say that, seasoned crypto world activists are not entertaining such dreams. This report refers to first time crypto world entrants. Could you make your debut in the tempting arena of digital currencies and become a millionaire. You are obviously inspired by the instant millionaire machine, Bitcoin and yet, not everything is at it seems. In the last 8 months, wild fluctuations in the value of this digital currency have resulted in losses for several crypto enthusiasts. At this point of time the price of the currency might have dropped by around 30% to 40% but, the price is still too high to risk your money on. The world of cryptocurrencies is today home to more than a 1,000 crypto currencies. Many of them might be in your budget but, that does not necessarily mean that they will perform well. Similarly, a currency with a stiff price tag might have a shaky foundation. Add to this the fact that, crypto operators have learnt some convincing marketing ideas. Basically what all this means is that, you should adopt a conservative approach and more importantly, keep your dreams of become rich in control. Much of the uncertainty in cryptocurrencies, grows from the fact that it is an unregulated playing field. What we need is an open attitude and debate, from all stakeholders. Banks, governments, the business community and techno gurus. We now have a mixed bag of reactions, some originating from ignorance, misunderstandings and quite a few arising from personal interests. Let us presume that we do have a global (at least substantial) consensus on the issue, use and trading of cryptocurrencies, who would the losers and winners be. Sleazy and haphazardly planned projects would be off the table, these are generally aimed at generating easy money for the promoters. The elimination of such gimmicks should displease no one. The process of evaluating various crypto based projects, would become a bit more logical and streamlined. Regulations could help put a reign on large scale speculation. While too much external influence would ‘take the fun away’, too little or total absence of regulation will push the crypto world towards a lottery operation. You should not dream of becoming a millionaire overnight, it is important to understand that the media pumps up winners and leaves losers by the wayside. Do not put in money that is required, for more earthly and essential spending into cryptocurrencies. We are far away from seeing any crypto currency, become a form of stable investment. You definitely don’t want to shape your retirement plans entertaining shaky hopes and dreams. Study various projects, focus on those that have a wider scope in their business plan. Projects that focus on nothing but, the implementation of a cryptocurrency, are generally geared forwards a business plan that is rooted in simple speculation. An Initial Currency Offering (ICO) generally offers great prices for tokens (coins). However the ICO happens at the start of the project, when implementation has yet to begin. You can however take a more balanced approach and split your money, across a few ICOs. 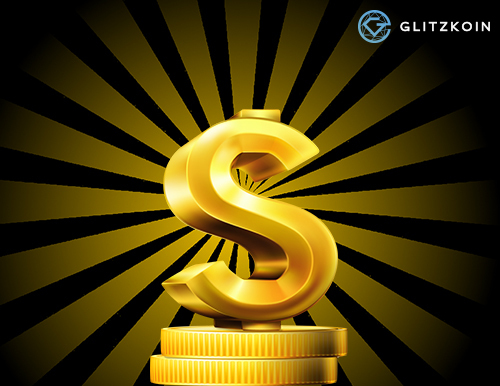 The GLITZKOIN ICO, drew high interest from the diamond community, seasoned crypto players and first time entrants. This because, the project addressed a ‘real world’ problem. The white paper included a detailed plan to set up a block chain based diamond trading platform. This after a thorough study of the shortfalls that have plagued the diamond industry, for many decades. The crypto currency which is part of the project, is aimed at removing cumbersome payment processes and expensive bank fees that are inherent to global diamond trade.